Show off your unique style with this Real cabon fiber license plate frame! 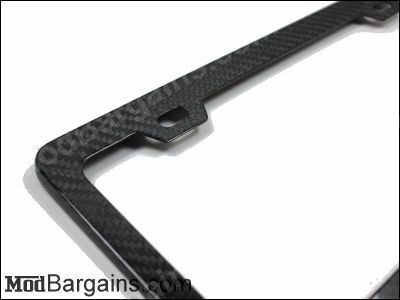 Add style to your car and stand out from the rest with a FULL carbon fiber license plate frame! These license plate holders are made of REAL carbon fiber twill weave. Although car enthusiasts frequently incorporate carbon fiber as performance enhancements, many enjoy carbon fiber products for its unique appearance. 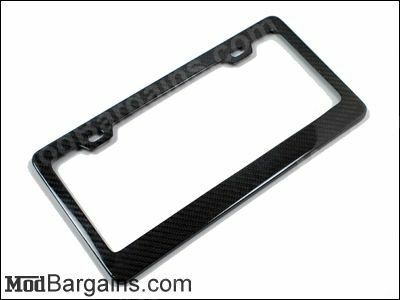 This is a plain carbon fiber license plate frame, so you can add a sticker from your favorite aftermarket brand or your race team. 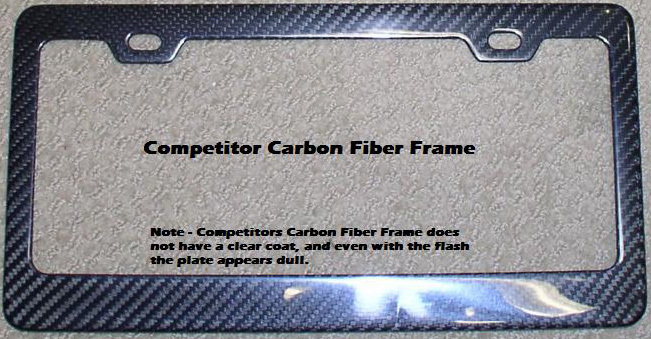 Show off your style and individuality with this carbon fiber license plate frame! 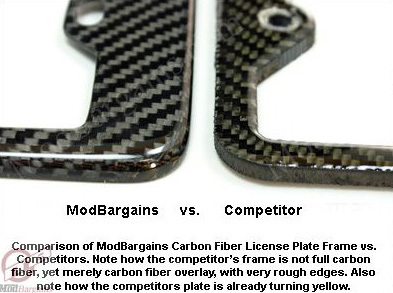 The new Version 2 carbon fiber license plate frame has been totally re-designed from the first generation frame. The V2 frame is made with vacuum technology which makes them thinner, and provides for a more consistent weave. Show off your style and stand out!